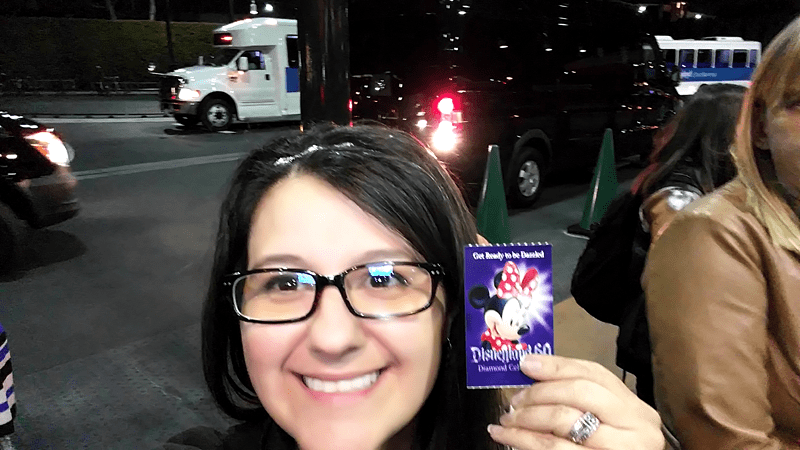 I was provided a night out in Disneyland expense paid during my trip to LA for the Star Wars Global Press Junket! I am hoping to find a way to take my family there soon! 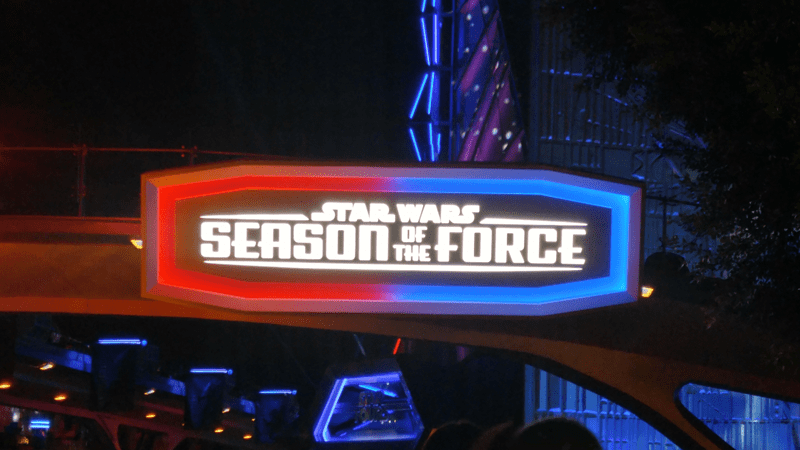 If you are a Disney and Star Wars fan be sure to you check out Seasons of the Force in Disneyland! Here are the TOP Star Wars themed items that you will want to check out! You will no longer have to wait until Star Wars weekend to experience the Force in Disneyland and Disney World. 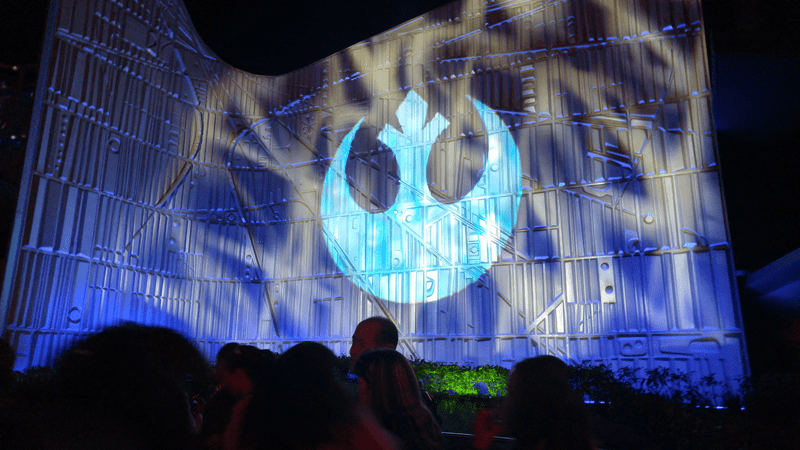 Be sure to head to the Tomorrowland section of the park to experience all of the awesome Star Wars stuff! While in LA covering the Star Wars Global Press Junket we were surprised with dinner at Disneyland! There was an ongoing joke in our itinerary when we all wondered why there was a 6 hour break for dinner on Sunday night. Many of us have attended many press junkets and dinners are usually around 2 hours long. Although we were all hoping to get a secret screening of the new Star Wars: The Force Awakens this was JUST as exciting since many of us aren’t even from California! 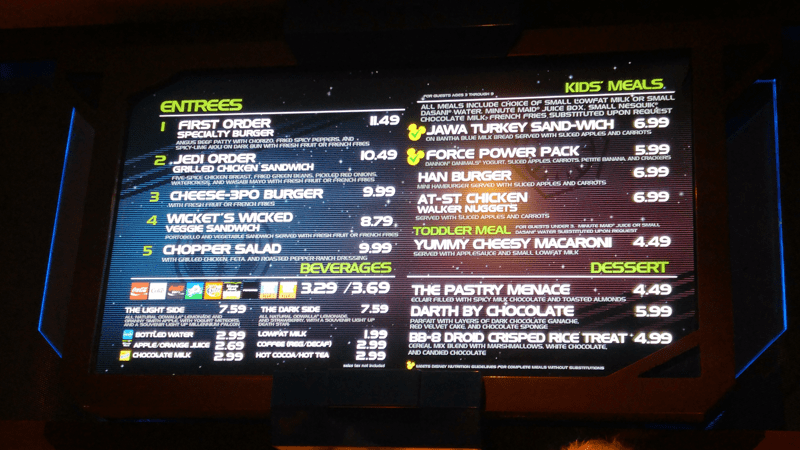 We enjoyed our Star Wars Themed Dinner and ate at the Galactic Grill! 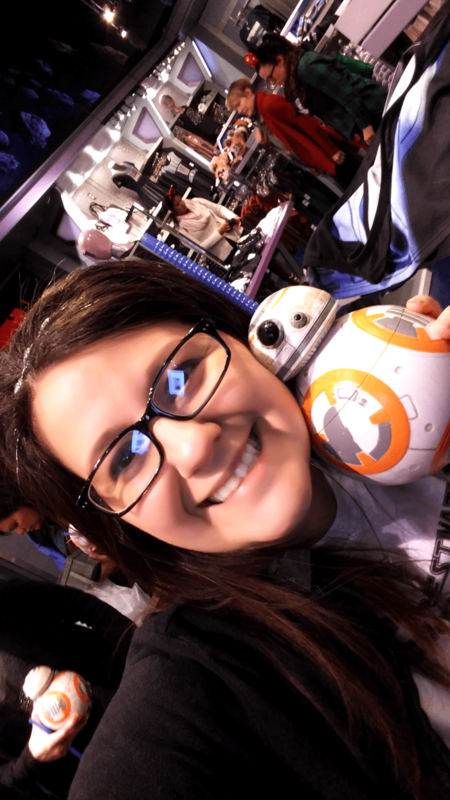 The Galactic Grill is where you can get these awesome BB-8 Sippy Cups and Chewbacca steins! The meals are really fun because you can choose Star Wars themed Dark Side and Light Side meals that come in a fancy Han Solo Carbonate Lunch Box! Your meal alone comes with souvenirs! Enjoy a rollercoaster like no other called “Hyperspace Mountain” formally known as “Space Mountain” but has an entire new Star Wars theme! 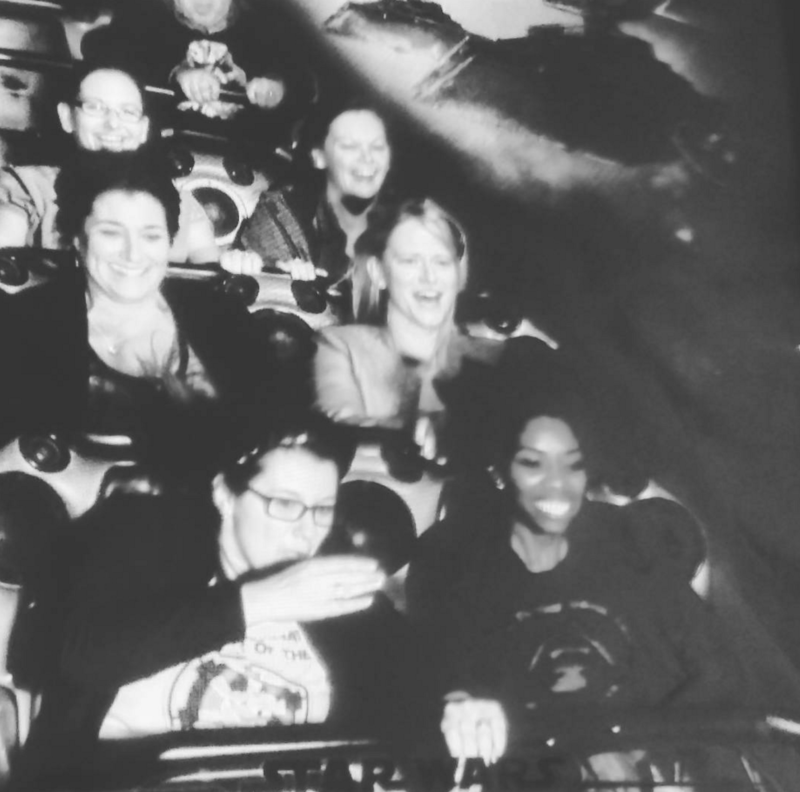 I have never really been on a rollercoaster so I had my eyes closed almost the entire time. I hear that it was super cool with lots of Star Wars things…I opened my eyes once and totally felt like I was flying though space! As you can see I opened my eyes once aw the flast and was screaming! Fly through space on Star Tours! 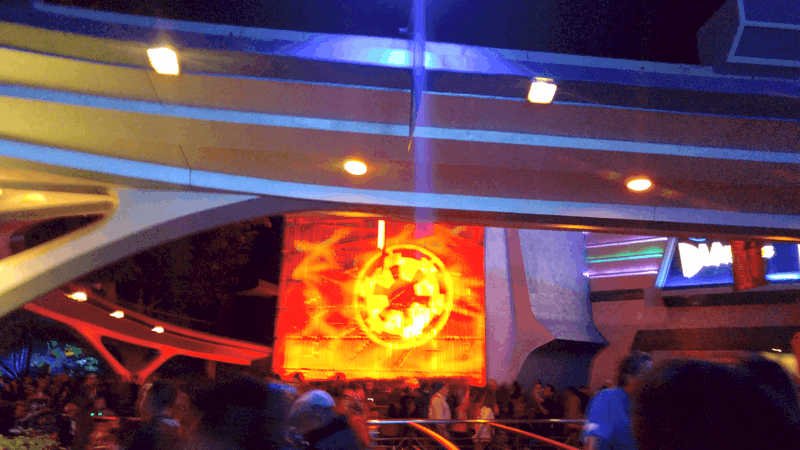 Star Tours is my favorite ride in both of the Disney parks! It is so much fun and it is one where your seat moves and you watch a screen! It was a 4D ride. This time there is a new location that includes the new Star Wars: The Force Awakens! Check out Star Wars: Path of the Jedi with a 10-minute film that includes scenes all from the Star Wars movies! It also includes the new parts from the Star Wars trailers! 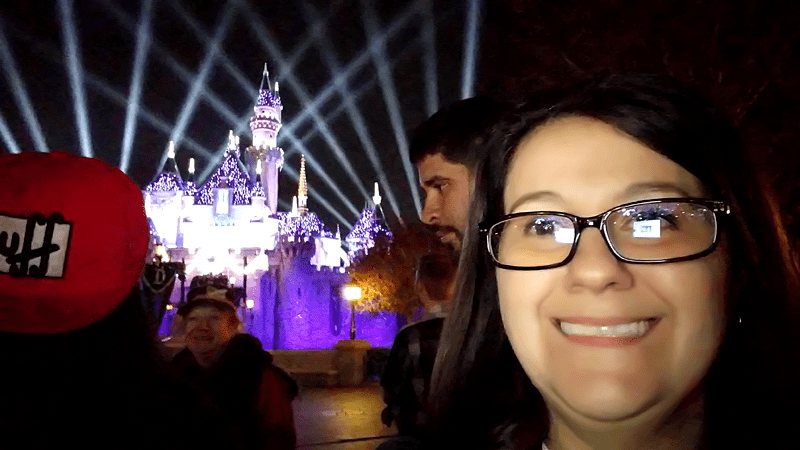 Enjoy lots of photo opportunities while visiting Disneyland! 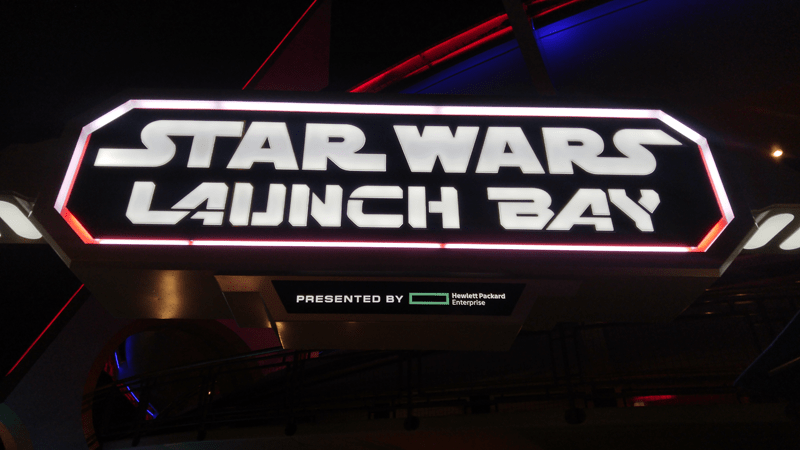 Star Wars Launch Bay where you can meet the characters and do some great shopping! Jedi Training where your kids can test out their light saber skills with Darth Vader! Like every other trip to Disney, it wouldn’t be the same without the shows, the castles, and the Disney parks holiday scents sprinkled with family, mouse ears, and LOVE! It sounds like a really neat way to capture some of the Star Wars fun. I’m glad you had the chance to go! Oh my goodness, what a fun experience. I live Disney so much! What an awesome event! I would love to have been there! It seems like a lot of fun! Thanks for sharing your experience. What a super fun experience. 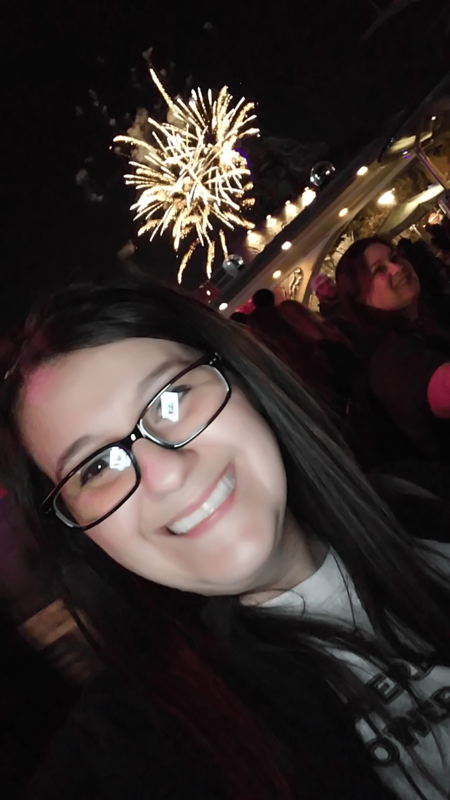 I miss Disney! Sounds like a really fun time. I haven’t ever been to Disney but they really think everything they do is magical! 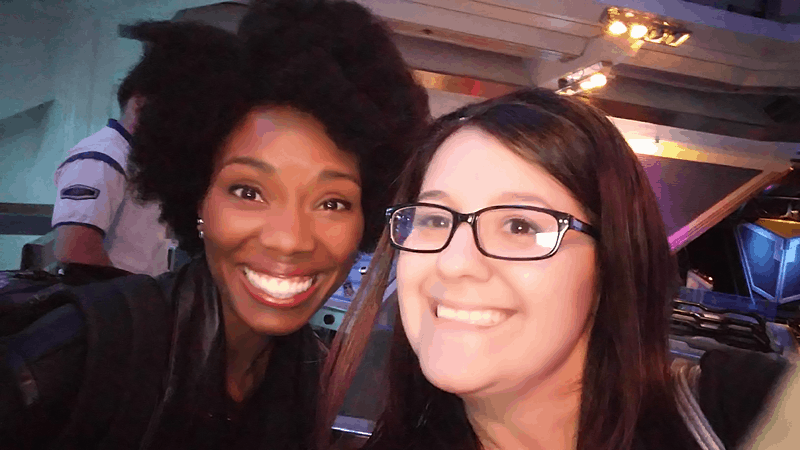 what a fun experience… I would love to have been there!